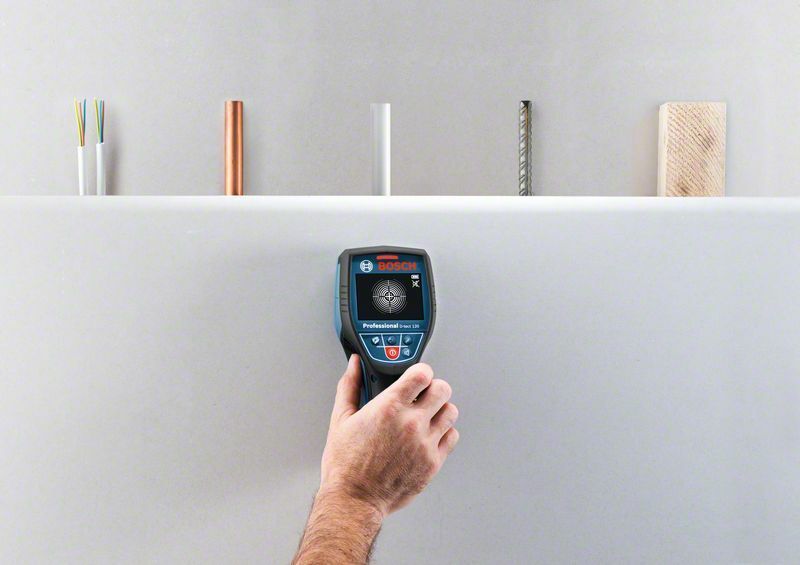 The detector D-tect 120 Professional is an intuitive radar scanner developed for almost all materials. 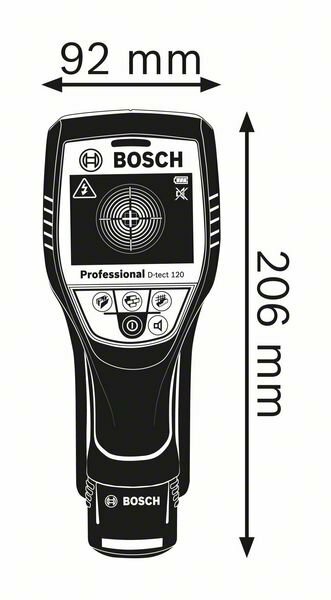 Spot measurement provides accurate detection on narrow surfaces, while the centre finder shows the precise location of an object's centre. Additionally, Dual Power Source technology allows for use with both a 12 V Li-ion battery or standard alkaline batteries. It is suitable for a range of craftsmanship disciplines to locate pipes filled with water and cables as well as to avoid drilling mishaps when performing carpentry, plumbing, electrical, and HVAC applications. 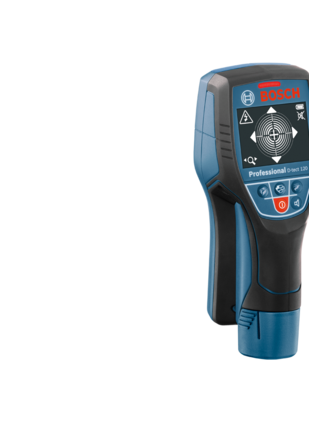 The D-tect 120 Professional offers a simple user interface with three self-explanatory selection buttons for adjusting to various applications and it is able to detect objects at depths of up to 12 cm. 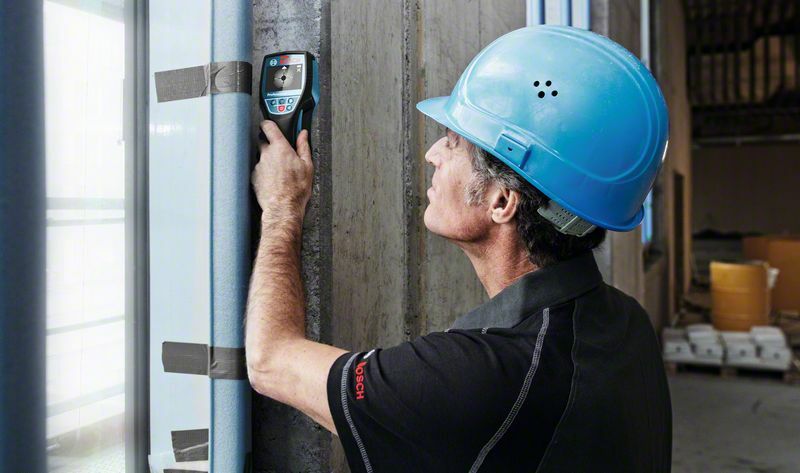 Audio and visual signals notify the user when objects are detected in the wall.